Katy Rose from Wings of Flight! I love that each post has something about druidry/spirituality to it but is also about your life – some blogs try to separate these things which doesn’t feel right/possible to me. I totally agree and I’m glad you enjoy my blog. 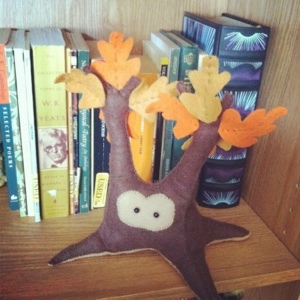 I will be contacting you soon about mailing your new tree spirit! A big thank you to everyone who entered and to all of my readers! I’m so happy to inspire you and it means a lot that you keep reading. I’ve been a bit light on updates over the past couple days. Sometimes I worry I spend too much time as a techno Pagan. I can get caught up in the blogosphere or in the online groups. It can distract me from accomplishing my personal goals and just living. Being a Pagan, especially a Druid, is about going outside, time with your tribe, learning, and communing with the spirits. Personally, most of that happens away from the screen, keyboard, and mouse. …which is meeting today for the second time ever! Based on the RSVPs, the group will be a little larger than last time. Also unlike the first meeting, I’m planning for this to be more focused. I want to maintain the casual atmosphere, of course. I don’t want anyone to feel like I’m this big expert and that they are teacups to be filled with my wonderful knowledge, but I do want to “lecture” a little. I do so hate that word, but there’s no way around it. I also plan to include plenty of time to share personal experiences and insights. I want to end with a meditation. Our topic is Nature Spirits with an emphasis on the physical type this time around. Planning to lead them through a meditation in which we go through the Three Realms and experience the Nature Spirits in each. Wish me luck! I spent quite a bit of time outdoors yesterday. I made a point to go into the forest and visit the shrine. I made offerings to the local spirits and thanked them for their blessings. I found some turkey feathers which I accepted as gifts and brought back home to wash. My collection has grown and I’m brainstorming what I could turn them into. 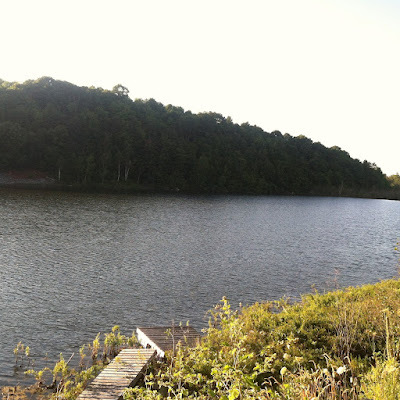 The evening was spent with my neighbors and friends at their family’s property near Payne Lake. What an absolutely beautiful place! It’s the second location we’ve kayaked here in Jefferson County. Payne Lake is more narrow than Hyde Lake, and seems to have more of the dramatic cliffs we like. Wildlife was plentiful! We saw frogs, falcons, a flock of turkey vultures, a heron, and a beaver! I’d never seen a beaver in the wild before so that was an extra special treat. We’ll definitely be spending more time there. One last exciting thing to report: The Clayton Food CO-OP! In our favorite town of Clayton, this new shop is celebrating its grand opening this weekend. Their focus is on local food with an emphasis on organic and fair trade products. While we have another great location for such products in Watertown in the form of The Mustard Seed, The Clayton Food CO-OP will make obtaining healthier foods for the body and planet easier on the people who live near the St. Lawrence River. It will also make grocery shopping easier on me since we visit there frequently! In fact, they have started a service with the local Grindstone Farm that allows customers to order a box of fresh, organic fruits and veggies each week. It’s different from a CSA because you aren’t paying for a whole season – just a week! It makes it easier for people on a budget to enjoy local food. I just ordered a box and can’t wait to pick it up on Thursday! If you’re from the North Country, definitely consider it!